Season 5 is just getting started in Destiny 2, and there’s a chance to get a revamped version of an old favourite in Season of the Forge. 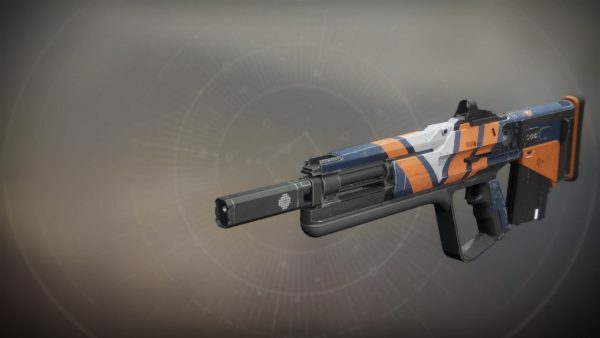 In order to obtain the reprised version of Nightshade, a pulse rifle that was popular in Year 1, you’ll need to obtain a quest from Zavala called Danger After Dark. You’ll need to complete 30 bounties in total, so depending on how long you spend playing Destiny 2 each week, this could be a bit of a grind for some. Once you’ve completed the various Vanguard bounties, the quest will update to Another Night Survived. Head back to Zavala to receive Nightshade as your reward. As this is a random roll weapon, you might get slightly different perks compared to other players, such as Kill Clip or Under Pressure. The Kill Clip Perk grants you increased damage when reloading after a kill, and with Under Pressure, you’ll get improved Stability and Accuracy as the magazine empties. Black Armory and the Season of the Forge bring new Exotic weapons, Pinnacle weapons, and a new raid, Scourge of the Past, to Destiny 2, starting on December 4. If you’re new to Destiny 2 or are still working your way through Forsaken, check out our ultimate Destiny 2: Forsaken guide here.